Buenos días! hoy os muestro un look lady-midi de esos que tanto me gustan. Decidí combinarlo con el bolso nuevo de See by Chloe y éstas sandalias de corcho que econtré la semana pasada a un precio increíble y que además ni pesan y son comodísimas. Good morning! 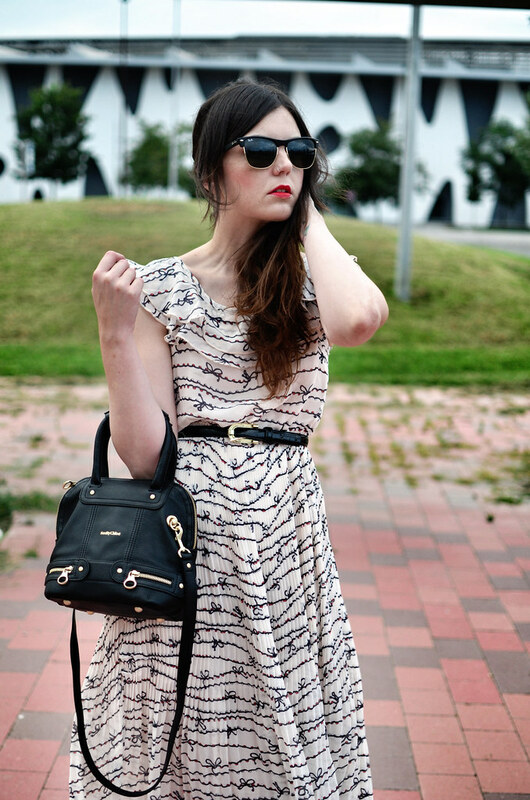 Today I show you a lady-midi look , one of those outfit that I love. I decided to combine it with the new handbag See by Chloe and these cork sandals that I got last week for a great price in sales. Also they are very light in weight and very comfortable. Que bonito el vestido Laura.. muy vintage!! es un vestido muy bonito. I think your blog is very pretty ! 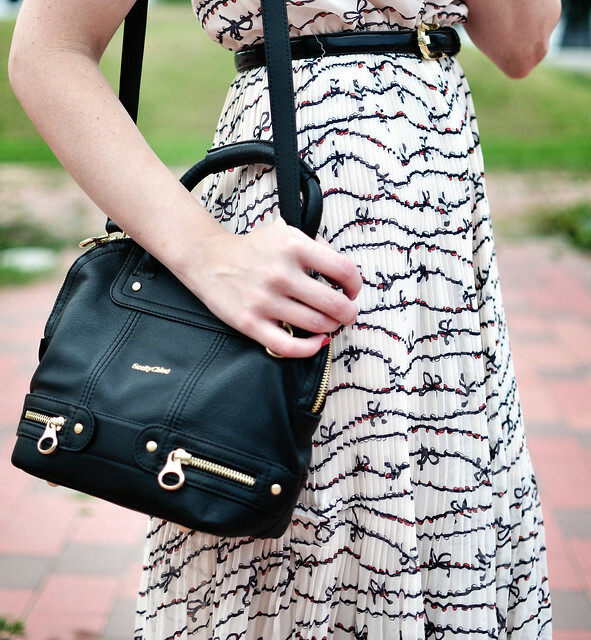 gorgeous dress ... love the bag!! Please model more midi dresses and skirts. This is beautiful! Everything about this look is so beautiful! I especially love the little bow details and pleats of the dress. And those wedges! So stylish, so beautiful! I love your dress !! Love the accordion bottom! lovely dress! I'm following you, please follow back! Ya te comenté por trendtation creo que fue, es que me parece uan pasada tu vestido y además supiste sacarle mucho partido,estas guapísima. 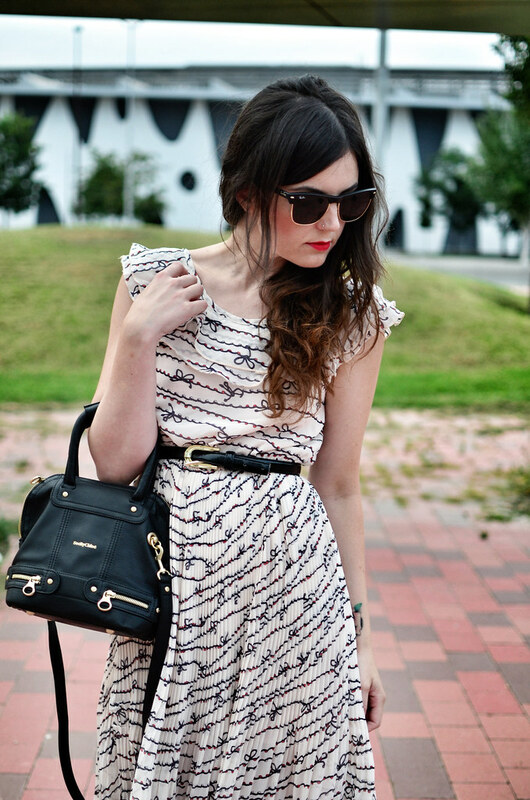 I loooove midi dresses- I definitely want to invest in one for fall! You look so beautiful! Estás fantástica, el vestido es precioso. Beautiful dress, suits you very well!